Charminar is a historic monument which attracts tens and thousands of people across the globe. It is a tourist place which is listed among the best tourist places in the world. When it comes to The Best Tourist Places In India then it stands at a position which is enviably the greatest one. Yes, it has its own unique place. Now, what is new about this tourist attraction in the city of Hyderabad is it has now being Wi-Fi enabled. This means tourists or the people who live nearby Charminar can have the access to internet over high-speed Wi-Fi. It was Telangana's Formation Day. The day for which many of the people fought for. K. T Rama Rao, IT Minister, inaugurated free Wi-Fi Service. It is an initiative which is really first of its kind. We have so many tourist places in India but Charminar has now become one of the first places where there is Free Wi-Fi Service offered by the Telangana State Government. 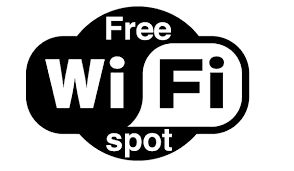 Apart from Charminar in the city of Hyderabad there are many other places where we find free Wi-Fi Services. People can access free internet over a secure, high-speed Wi-Fi at places such as Gandhi Hospital, Birla Planetarium, NIMS, Birla Mandir, Birla Science Museum, Public Gardens etc. This is a free service which the government offers to the people of Hyderabad through BSNL and QuadGen Wireless of the United States (US). In future, we are going to find Wi-Fi Services at other tourist and non-tourist places in the city such as the great Golconda Fort, Salarjung Museum, Jubilee Bus Stop, Falaknuma Palace, MG Bus Station etc. If you are at Charminar or if you are a tourist who is here to picture the beauty of the place or someone who earns livelihood then you need worry for the internet data going down as this free Wi-Fi service will be easier for you to get with a download speed that is around 20 Mbps. This service is available for anyone around this place for about fifteen to thirty minutes a day. The government of the state, Telangana, first began its mission of enabling Wi-Fi at various location in the city with the launch of Wi-Fi at Tank Bund. In future, we can expect this city to be digitally a newer one.